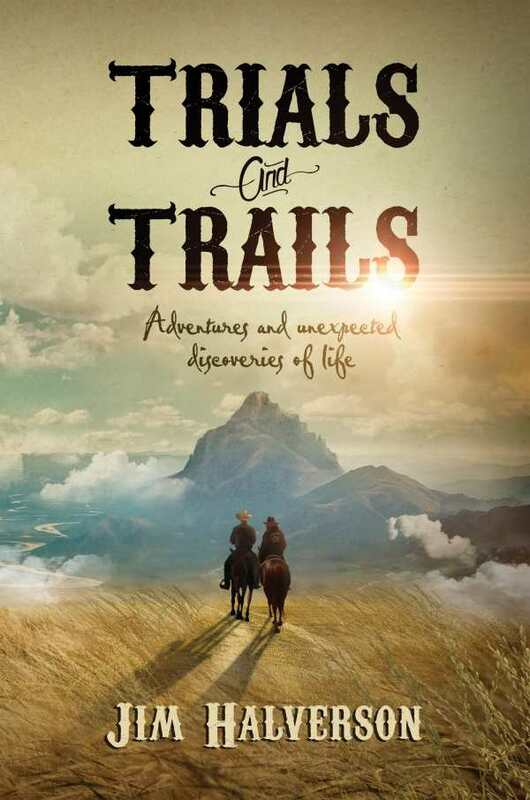 Jim Halverson’s Trials and Trails is a panorama of the Old West overlaid by psychological theory. In Jim Halverson’s Trials and Trails, two disaffected cowboys search for new lives in the post–Civil War West. LeRoy is an ex-slave who’s learned to temper his strength with silence and careful deliberation. Johnny B. is Sioux and lost his people and his way of life to encroaching settlement. The story begins with LeRoy at the mercy of an infuriated bull and three malicious cowhands. Johnny B., though a stranger, is quick to intervene on LeRoy’s behalf. When they’re refused service at the local saloon, they decide to partner up and head west. The book chronicles their experiences and the people they meet along the way. LeRoy and Johnny B. are well imagined and sharply drawn. Six-foot-six LeRoy can pick up an anvil with one hand but has a quiet nature and a thirst for knowledge that was only partially satisfied by studying with his former master’s son. Johnny B., wiry and quick to act, is less introspective but still grieves for the open prairies and vast herds of buffalo that once defined his life. As their journey unfolds, the two share their backstories and gradually form a deep friendship. The landscape is described with beautiful details, conveying a sense of the vastness of western America at a time when every view was an empty sweep to the horizon. Chapters divide into self-contained episodes. Early chapters show LeRoy and Johnny B. as itinerant hired hands, working in exchange for bed and board. As the weather turns chilly, they discover Alice, a new widow suddenly facing winter alone on her ranch. The two cowboys stay through spring to help her survive, both forming deep attachments to her. Gradually, the episodes shift from survival to altruism: LeRoy and Johnny B. save a man from hanging, help an elderly Indian die with grace, and engineer a reconciliation between old friends. The late revelation that the book is a fictional illumination of Abraham Maslow’s psychological theories explains its forced positive outcomes and lack of conflict, though the realization that each chapter will end well blunts reading pleasure, and the book that started as a realistic adventure begins to seem like a tame, family-friendly television western. The reappearance of Alice near the end of the book adds no new twists.